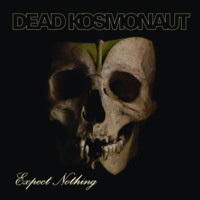 Dead Kosmonaut, whose debut album ‘Expect Nothing’ comes out on TPL Records on 24 Match, is the brainchild of Mattias Reinholdsson, a native of Virserum, Sweden, who now lives in Stockholm. A man with a lengthy interest in metal, a few minutes with him reveals that he came to music early, “digging especially The Beatles’ records in my mum’s collection. In 1983 metal came into my life; Iron Maiden, Saxon and MSG. I started to play a bit of guitar a few years later and more or less from day one started to write songs because,” he laughs, “I was crap at trying to learn my favourite songs; I didn’t have the skill or the patience. I started playing in bands when I was around fifteen and soon ended up in a band with Per Broddesson [ex-Wolverine and Year Of the Goat] who is on this album. 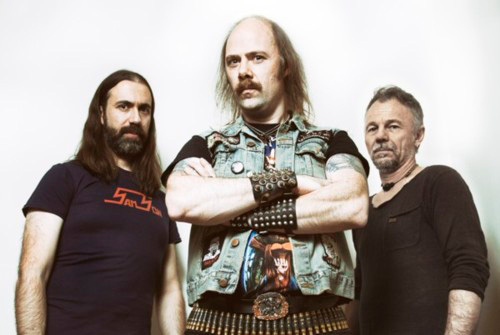 We then joined forces with Henrik Johansson – who plays drums on this album – when we started Book Of Hours, and did one album with Per in the line-up, called ‘Art To The Blind’, and after he’d left we recorded another that’s yet to see the light of day. By the time we started Book of Hours I’d switched to bass and was heavily inspired by Steve Harris, John Wetton’s King Crimson era and Jan-Erik Liljeström of Swedish band Anekdoten, the name Book of Hours coming from one of their songs. I really got off on that distorted, lead bass idea, where bass and guitar is more equal in balance and mix.